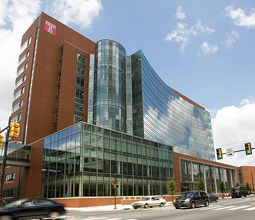 The Lewis Katz School of Medicine at Temple University announces the search for an Academic Inpatient Psychiatrist. The selected individual will also provide inpatient psychiatric management of patients with severe mental illness. The physician will be in charge of a treatment team which involves behavioral health therapists, nurses, mental health workers and a social worker. The program philosophy is a patient centered recovery model that encourages patients to take an active role in their treatment. The teams work closely with community agencies to facilitate reintegration of patients back into their community. The attending will be responsible for completing an initial comprehensive admission workup, daily progress notes and the completion of a discharge summary. The EPIC electronic medical record system is used so all applicants should have typing skills. The position requires a strong interest in teaching including bedside and didactic teaching and resident supervision. Every six weeks a medical student will be assigned to the treatment team and will be under the direction of the attending psychiatrist. On occasion residents will also be assigned either as administrative electives or to meet the basic requirements of their residency program for inpatient psychiatry. An interest in publishing or participating in research is preferred. Applicants should be an M.D. or D.O. with psychiatry board certification or board eligibility. Candidates who are board eligible will be expected to complete their boards in psychiatry within the first two years of hire. Rank and compensation will be commensurate with experience. Personal statements summarizing teaching experience, clinical and research interests, and contributions to diversity are encouraged.